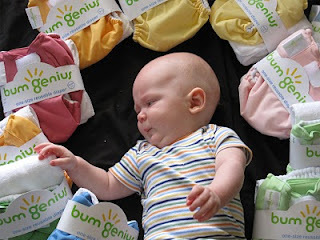 When I bought this batch of BumGenius diapers last summer, I had come across a suggestion on how to keep the Aplix on the diapers from getting ratty, curly, and loosing adhesion. The idea: Buy Velcro from the store, cut the loop side into squares, and use this instead of using the laundry tabs on the back of the diaper. 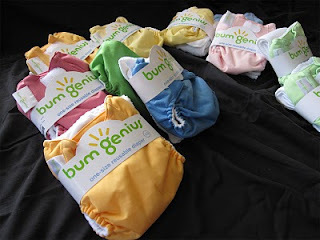 My initial batch of diapers from when E was a baby were pretty ratty by a year into use. By two years, they were nearing the end. The hook side curled. The loop side was fuzzy. The laundry tabs and the stretchy tabs were pilling. I would often have "diaper chains" coming out of the washer and dryer, where every diaper was attached to another. At first, I thought the little velcro squares might be a little irritating. I also thought that the potential benefits would outweigh the "hassle." Pretty quickly, using the velcro squares just became part of the routine. I keep the unused squares in the drawer that has all my other diapering accessories. Often, I'll take the squares off the clean diaper I'm putting on the baby, and place them right on the dirty diaper I just removed. It's not a hassle, especially considering that I don't have to struggle with diaper chains, and the diaper still look VERY nice, and not worn out. As you can see, they're pretty simple pieces. There's very little pilling on the stretchy part. The loop piece on the front looks almost new. The pink diaper was bought at the same time. 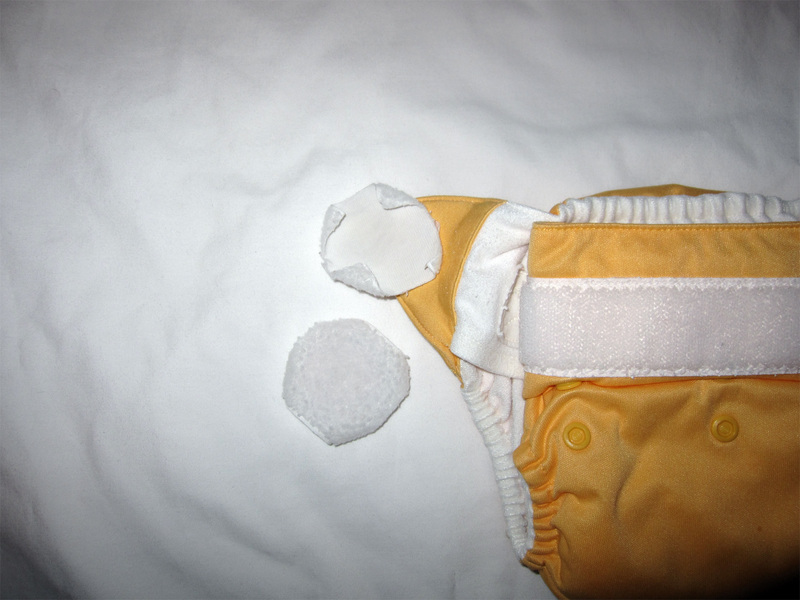 I used the velcro squares on this diaper, as well, but the front loop piece is a little fuzzier. 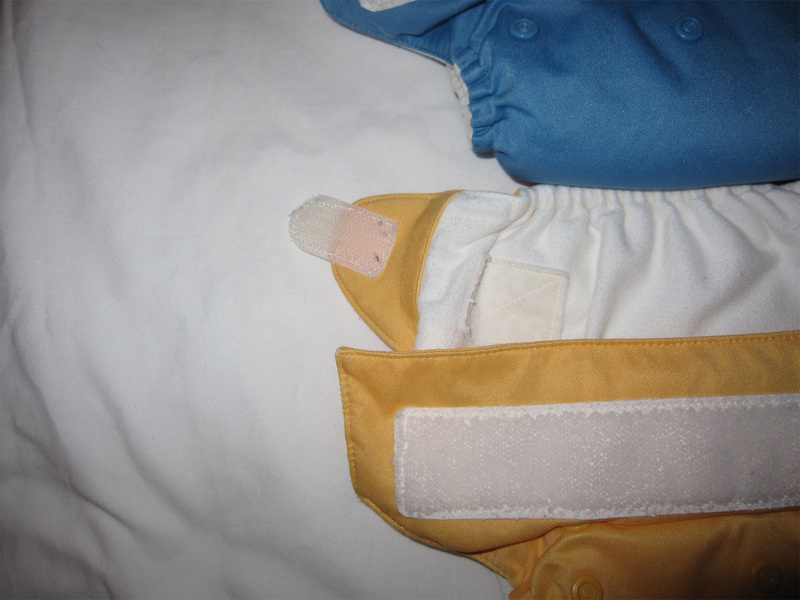 Still, it's nice that the diapers are still in such great condition after a year of use! 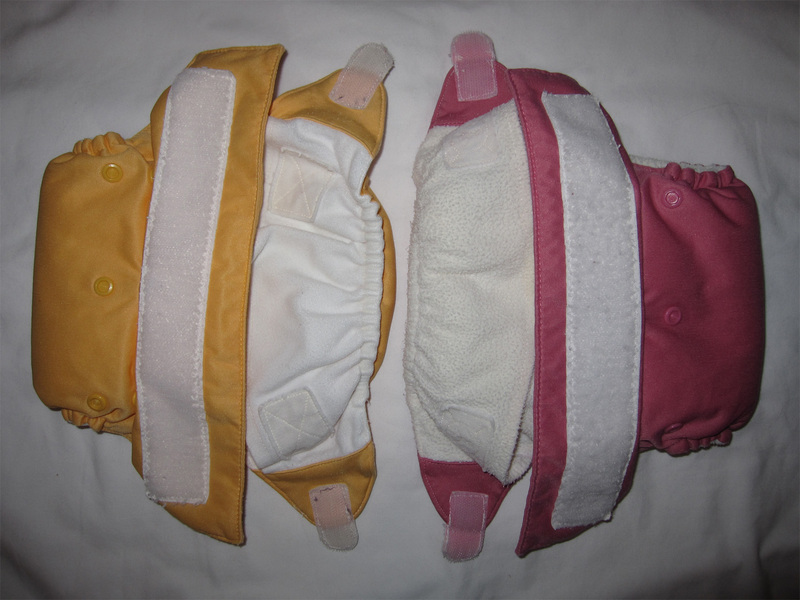 I wish I had some of the old diapers to post pictures of for comparison's sake. Trust me, They looked well worn!